An empty world means a world without colors and life. Take a look to a desert region and compare it with a luxuriant area where you can admire all sorts of plants, flowers, waters and animals. It is a comparison which can make you think of the way we choose to live our life and the decisions we take which can affect our mood, personality and the way we see things. 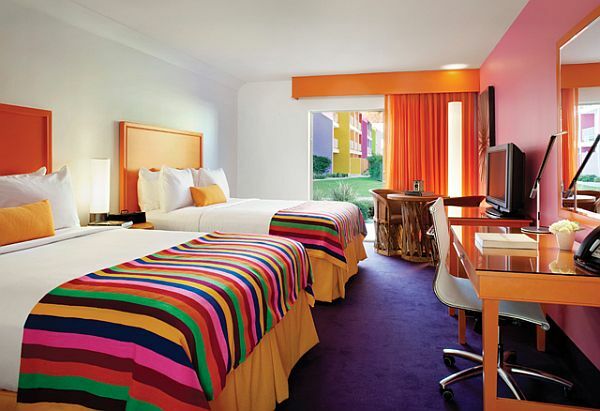 We can choose a more static and introverted lifestyle or we may enjoy all the energy and explosion of colors that surround us.Those who prefer to take advantage of a refreshing and colorful atmosphere may choose the new Saguaro Hotel located in Palm Springs. 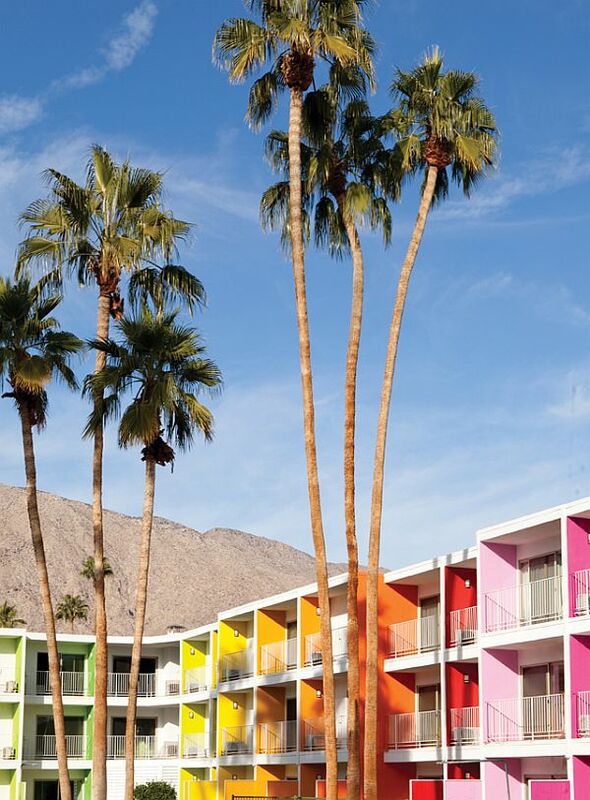 This hotel was an old structure which belonged to '70s and which became a spot of color in a desert area due to New York based Stamberg Aferiat Architecture. 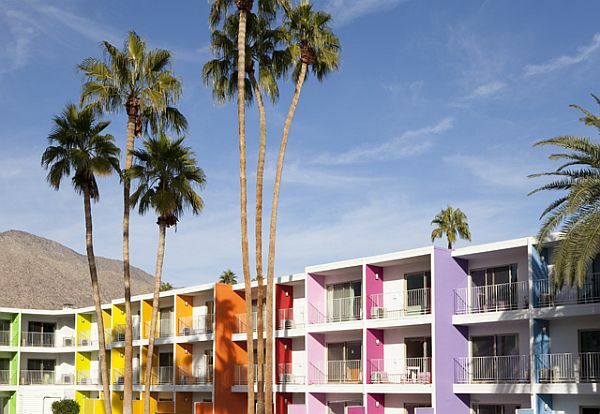 Saguaro Hotel is a three storey building with a simple design and 249 rooms but which looks like a rainbow in the middle of a desert region. 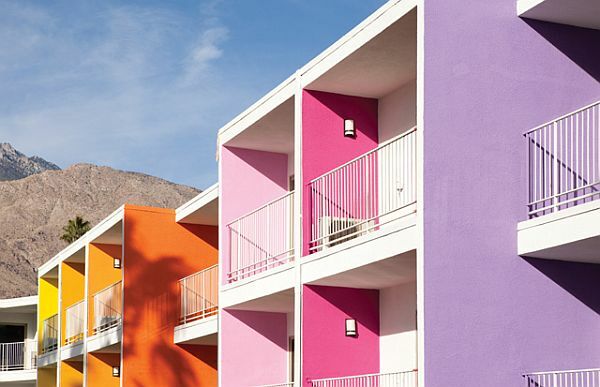 Its exterior walls are painted in fresh nuances of purple, green, yellow or blue and all its rooms are an explosion of color and energy. 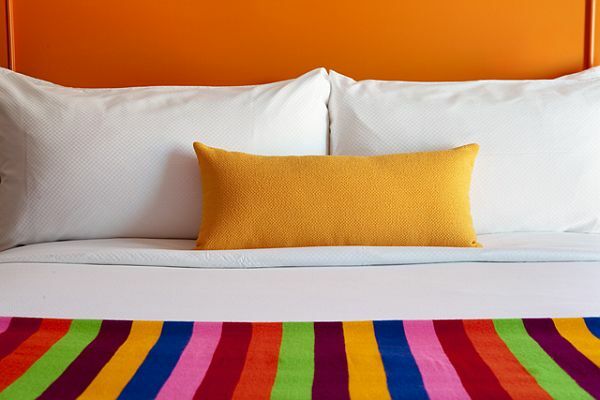 Some of the white walls or other white items are contrasted by strong and vibrant colors as orange, pink, green or yellow used for things like bedding, window curtains or the modern pieces of furniture. The use of all these strong nuances represents the reflection of the same strong and dynamic spirit of Southwest and can inspire you the same mood once you enter this hotel.